SEO can be a difficult challenge for shipping companies. Because you might operate as a B2B enterprise, or B2C, as well as operating both nationally or internationally, your individual circumstances can be very unique. Therefore, an SEO agency has to be acutely aware of your unique targets and cater a strategy exclusively around them. If you ship worldwide, then popular keywords such as “international shipping” and “worldwide delivery” are go-to options. However, do you deliver to every possible country? If there’s a popular country that, for whatever reason, you don’t ship to, you might find your bounce rate go up. This is just because some people will be drawn to your service and find it doesn’t have what they need. Additionally, you should always try and reinforce the destinations you do ship to. These can be broken down in layers. First of all, you have continent-based searches, such as “deliveries to Northern America” or “shipping to Europe”. This may prove more popular for B2B companies, as their clients may be looking to ship across wider areas. At a more granular level, you have the likes of “Shipping to the US”. Here, these keywords represent people with specific needs and queries. Of course, you might not want a single page for every country. Doing so might eat into your crawling budget. However, this is something that may involve an arguable amount of A/B testing. Different countries have different shipping regulations, costs etc, so you still need to make this clear. The same is also true for contact details. If you have different offices around the globe, you still need to ensure users can actively find the one they want to contact. If both your German and French offices are listed on your “Europe” page, can Google actively determine the difference? Certainly, landing pages for continents, such as Northern America and Europe, should be used, and then you have to decide whether its better to have individual pages for each country, or collected information. Based on keywords and the ability to clearly list important information, it might be worth having sub-pages, but make sure search engines can still crawl it all! When you target the right stage of the customer journey, PPC can be a very powerful option. For shipping, this is a prime opportunity. After all, someone who is searching for “shipping to Scotland” likely already has something they need to send. They have a need to purchase and are actively looking to make a decision. PPC, such as Google AdWords, can be very versatile here. You can use smaller campaigns targeting the most popular locations, as well as a few less-popular ones, where the reduced competition makes the cost per click much cheaper. Experiment a little and push the most successful adverts further. A key step here is to make an advert that grabs a user’s attention. State your low prices, or a discount for bulk orders (depending on the nature of your customers, of course) to get people to click through. A strong call to action will be essential. Do you offer free courier pick-ups? Use these promotional points to, well, promote! Finally, it’s safe to say that shipping can be very seasonal in nature. Christmas, for example, is a popular time to send gifts and larger orders. 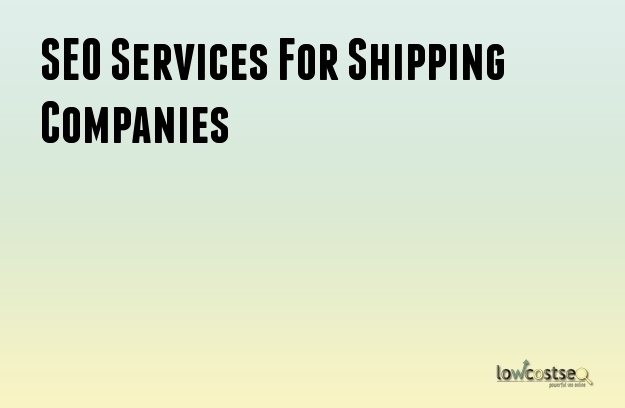 As such, both businesses and individual customers have a greater need for shipping. In addition to ramping up your sponsored PPC campaigns, you can promote blog posts and social media content aimed directly at your target audience. Offer guides on how to give gifts to people overseas, or how to bulk order your shopping to save money. Be creative and promote your content through the likes of Facebook to get people talking – all those links will come back your way.